Like with any career, establishing a good work–life balance as a nurse can be challenging. This may be even more difficult as a nurse if you find yourself working odd hours and long shifts in a demanding position. As a nurse, you’re often on your feet, facing difficult situations, needing to be at the top of your game for any unexpected challenges. It can be quite easy to let personal care and your personal life slip when you’re wanting to excel at your nursing career. However, maintaining a healthy work-life balance is crucial for any career, especially a career in which you nurture others to good health. Nursing positions are demanding, requiring you to spend the majority of your shift on your feet, bouncing from patient to patient. If you’re not in tip top shape to handle the physical demands of the job, this can be even more challenging. Help yourself improve your endurance for long-standing shifts by exercising regularly, even if this means for only 15 minutes a day. Similarly, because of long shifts and busy days, your diet and nutrition may waiver as you opt into quicker, easier, and less healthy options. Avoid this by preparing meals ahead of time and keeping a healthy, non-perishable snack on you at all times. Because of the steady flow of oncoming demands, many nurses find it difficult to manage their time in an effective way. 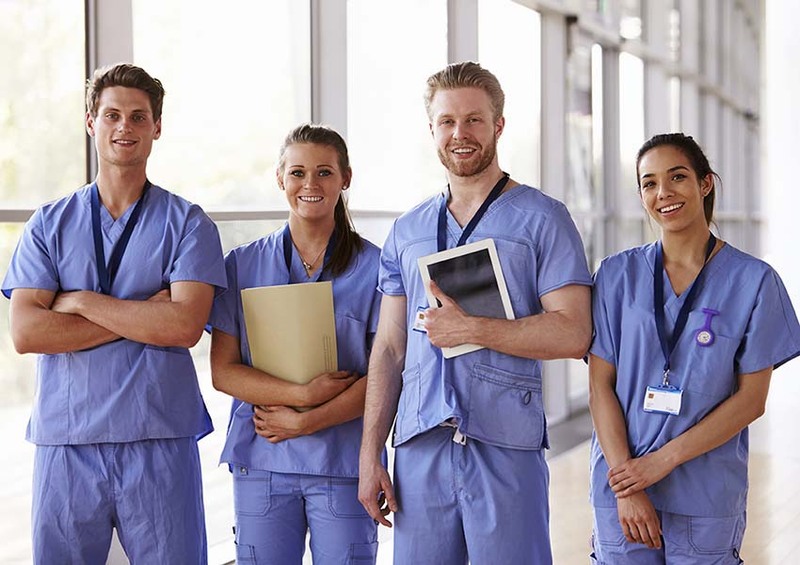 This seems to be an enviable quality that comes with the package of being a nurse, but a way you can help alleviate the stress that comes with juggling your time is to set expectations for everyone who it affects. Be sure to communicate to your supervisor what schedule you are available, and times and days that are “off limits”. Similarly, explain to your partner or family what days you will be working or on-call to avoid any disappointment. Don’t forget to schedule some time for your much needed TLC, and be sure to make it a priority. How do you like to prepare for your day? How do you like to unwind from a long day? Whatever helps you get in the proper mindset for a challenging shift should be made a priority, just like having a wind-down routine after a long day. Try getting up 15-minutes earlier to practice meditation or stretching before your long shift, or perhaps warm up your body with a light jog around the block. Before bed, try to take some time to reflect on the day by journaling or making a mental note of what you are thankful for. If you need to make a nightly bubble bath part of your wind-down routine, make that a priority. We’re all guilty of mindlessly scrolling through our phone’s feed when we get a couple minutes of downtime. Sometimes, this guilty pleasure can be a nice way to relax, but most of the time it is sucking our attention and causing us to focus on others rather than ourselves and our needs. Instead to taking to social media when you have a quick break, try reading a chapter of that best-seller you’ve been meaning to finish or listen to a podcast that makes you feel inspired to take on the rest of the day. Focusing on ourselves isn’t selfish, it is necessary to ensure we’re our best versions for ourselves and our patients. Being a nurse is no doubt a rewarding and fulfilling career, but it can quickly take a toll on you if you’re not carefully managing your time and prioritizing self-care. Use these tips to help better balance your work and personal life, as well as your physical and emotional health. If you’re still a nursing student, these tips can also be applied for maintaining a good school-life balance as well. If you’re not yet enrolled in a nursing program and would like get started, contact Eagle Gate College today. Their friendly and knowledgeable staff will be able to help you identify the program that is right for you in order to help you start your career quickly.